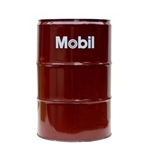 Mobil industrial oils and lubricants are designed to deliver outstanding performance and lengthen tool life. High temp, synthetic, white, etc. Long life, high quality hydraulic fluids. Lubricating oils for use in ways. Anti wear hydraulic oils that meet the stringent requirements of sever hydraulic systems using high pressure and high output pumps. Excellent for close clearance servo-valves and the high accuracy, numerically controlled machine tools. Food grade grease for use in food processing. General purpose food grade grease High temp synthetic grease for bearings and more. ISO 32 grade way lube oil formulated for performance. ISO 32 grade with high quality base and additives designed for performance. ISO 68 way lube oil formulated for protection of precision machine tools. ISO 68 way lube oil formulated for protection of precision machine tools. ISO 150 way lube oil applicable for most machine tool manufacturers. ISO 150 way lube oil applicable for most machine tool manufacturers in 55 gallon drum. ISO 220 way lube oil for rust and corrosion protection on sliding surfaces. ISO 220 way lube oil for rust and corrosion protection on sliding surfaces. High temp synthetic grease for bearings and more.